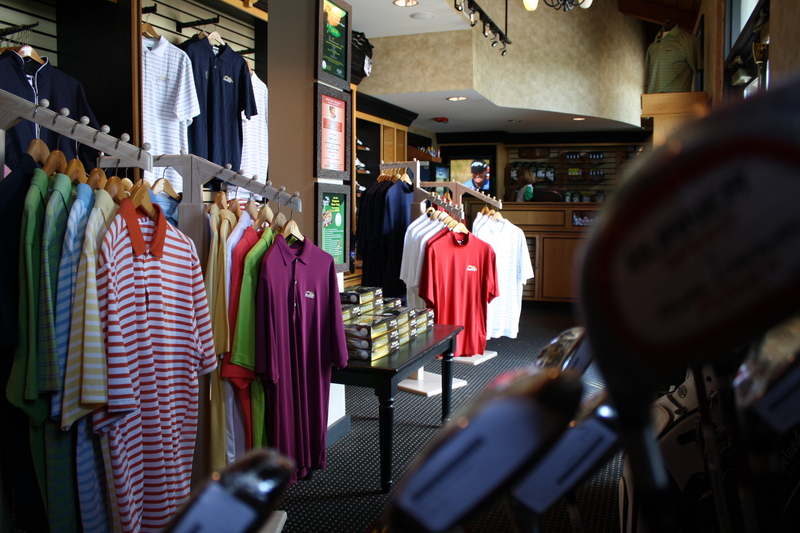 The golf shop is always stocked with plenty of product to satisfy your golfing needs. Apparel, balls, shoes, headwear, club covers or whatever else you might need to compete. Our golf shop carries a variety of golf products for both Men and Ladies from all the top companies - Under Armour, FootJoy, Nike, Titleist, Callaway, Ping, TaylorMade, Adidas, Pukka, Imperial, Levelwear, Puma, Cobra, Travis Matthew and Cutter & Buck. If we don't have what you are looking for in our shop we are more than happy to make a special order for you!